Conundrum Cafe was established in 2005. It is located in the Village of Elberta, Michigan at the corner of M-22 and historic M-168 in a general mercantile building built in 1880. The village once know as South Frankfort has a rich history since the late 1800s: lumber and iron town, the Ann Arbor Railroad and Car Ferries, along with commercial and sport fishing . The Bestie Valley Trail which follows the original Ann Arbor Railway and the scenic Betsie River are both just a step away from Conundrum Cafe's front door. Beautiful Elberta Beach on Lake Michigan is a short ride from the Cafe. There is so much to see and do in Benzie County- the smallest county in Michigan. Our goal at Conundrum Cafe is to make your stay in Benzie County as enjoyable as possible. 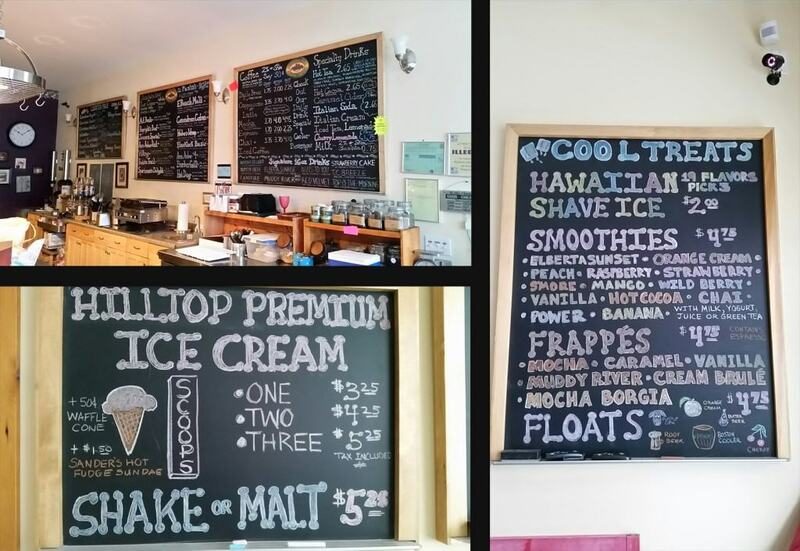 Before you begin your daily adventures, stop into Conundrum Cafe- grab a cup coffee, get a bite to eat, rent a bike or kayak, get your bike tuned up; then get ready to explore the great adventures Benzie County has to offer.